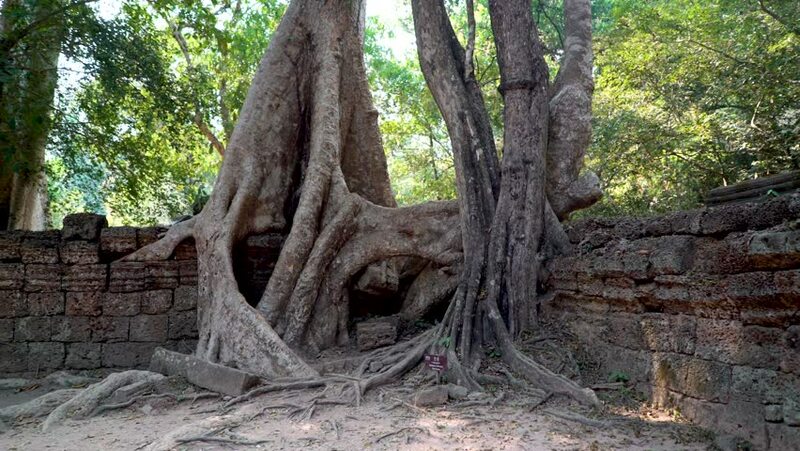 Tangle of banyan trees in the jungle at Ta Prohm wat ruins at Angkor Wat, Siem Reap, Cambodia. 4k00:14Lens flares and large banyan tree growing out of an ancient wall of Ta Prohm wat in Angkor Wat archeological park in Siem Reap, Cambodia. hd00:28Beautiful park for having meals in nature in south Portugal. hd00:15Small waterfall and natural tropical forest in Thailand.